REDUCED! 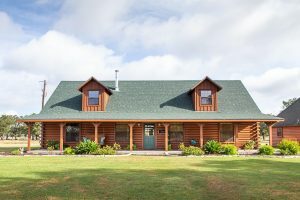 Log home, well-maintained acreage, oak trees, pond. Main house: vaulted ceiling, open concept living, dining, kitchen. Large porches. Guest house (576 sqft), attached to 3-car carport, has kitchen, living, 1 bed, 1 bath. Updates to main house completed 2017-2018: carpet, granite counters, roof, A/C unit, fresh paint, & re-stained/sealed exterior logs. Additional 1 – 35 acres available, $8K per acre. 2 additional ponds available. 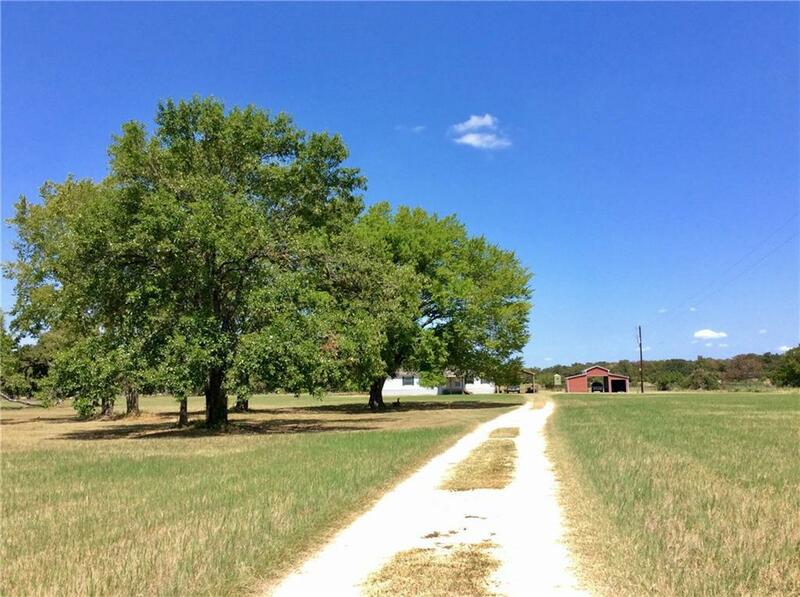 Home & 3.47 AC: 1935 SF, 3/2. Home has a brick exterior w/ recently replaced metal roof. Inside you’ll find lots of living space, a bonus room, & tons of storage. The kitchen has lots of cabinets & plenty of counter space. The garage was converted into a bonus room with an exterior entrance so it would work well for a home office. Home is outside the city limits (but inside the ETJ) and is served w/city services, including sewer. 2 barns on property. NEW SURVEY SHOWS 3.47 ACRES, CAD is incorrect. 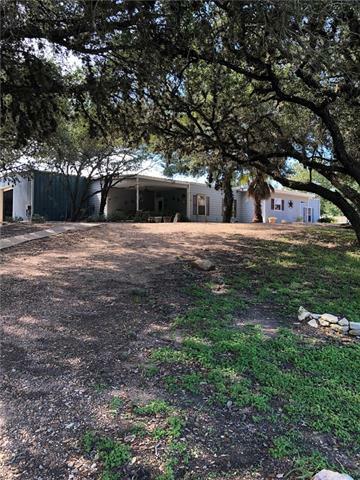 Enjoy the many pleasures of this property including improved land w/ gorgeous sunsets, starry nights, lots of wildlife, and covered front/back patios! 4/2 home has open concept w/ plenty of counter space & an island that provides additional storage/sitting. Mud room on back porch leads into utility room. All appliances negotiable. All bedrooms have walk-in closets. 18×20 carport, as well as 32×24 open barn. AG exempt & ready for hunting season w/ food plot in back pasture! Feeder & deer stand negotiable. Gorgeous property with road frontage on two sides! A water well, two septic systems, barn with pens, separate pens, two pastures separated by a fence, and a 3 bedroom/1 bath house ready for an investor or permanent residence. Currently Ag Exempt, the pasture is fenced, has a water well feeding a trough, and has working pens. 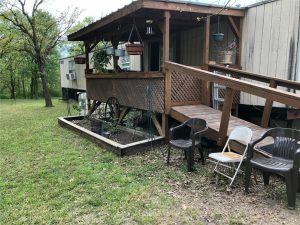 This property sits on top of a hill and has approximately 725 linear feet of Highway 290 frontage and approximately 620 linear feet of Overmann Road frontage (measured through Google Earth, buyer to verify footages). 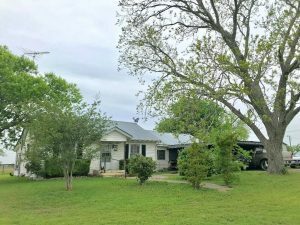 This property has the potential for an investor to split into 2-4 acre tracts and resell OR a commercial property OR for a home buyer to purchase. PRICE REDUCTION! GORGEOUS 3/3 near Giddings golf course. 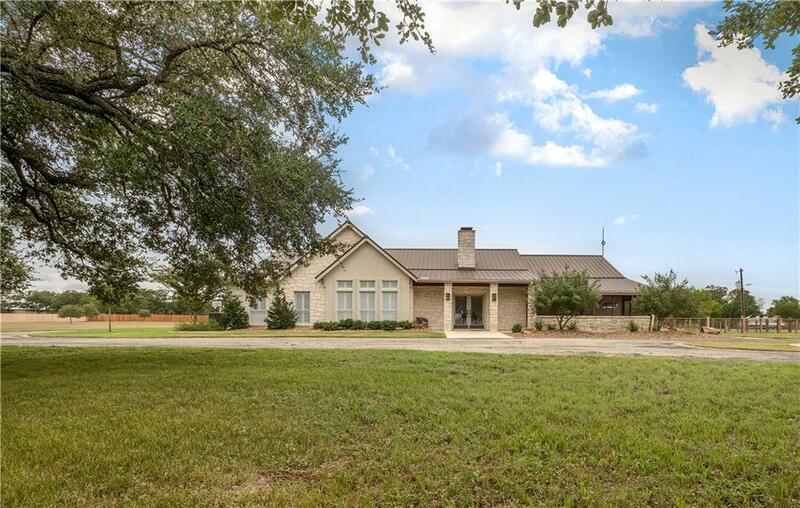 +/- 6 acres, 2982 SF home w/huge living room, lg master suite, updated kitchen (granite, gas cooktop, sub-zero fridge, island, breakfast bar), formal dining room, breakfast area, lots of windows, plantation shutters, walk-in pantry, heated & cooled 3-car garage, screened-in mancave/cantina & a huge covered back patio for entertaining, metal roof (2015), fenced back & side yards, paved circle drive. Lg laundry room. Storage everywhere. Home & 9.15 acres = $589,000. REDUCED! 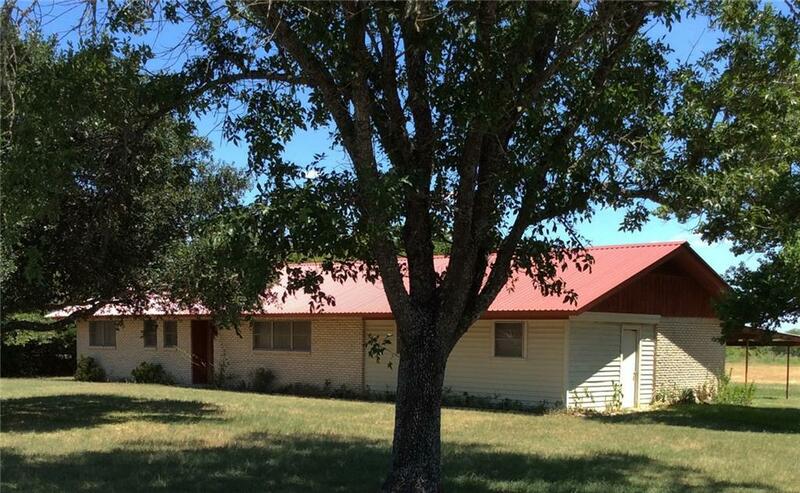 Nice Barndominium on almost 4 treed and manicured acres. Park like setting. Plenty of room for your boat and and rv. Separate out building for more storage. Sellers father lives on the property also and is blind. $5000 flooring allowance. Please give 2-4 hour notice for showings. PENDING! 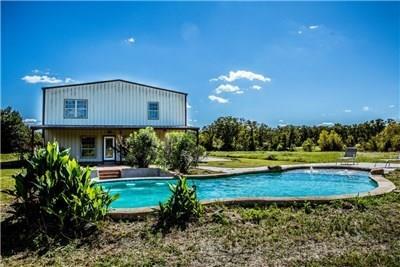 Unique barndominium w/ large shop, pool & pond on 23.5 acres! Built in 2014, 2 bedrooms 2.5 bathrooms make up this 1600 sq foot (approx) all metal home w/ 1600 sq ft shop w/ plenty of room to expand. Custom touches include 5 ft soaker tub inside the walk in shower in master & designer granite & tile w/ plenty of storage in the open kitchen. The lg pool includes a tanning shelf w/ bubblers & underwater stools setup for an outdoor kitchen & swim up bar in progress! Pool has a new pump and filter!